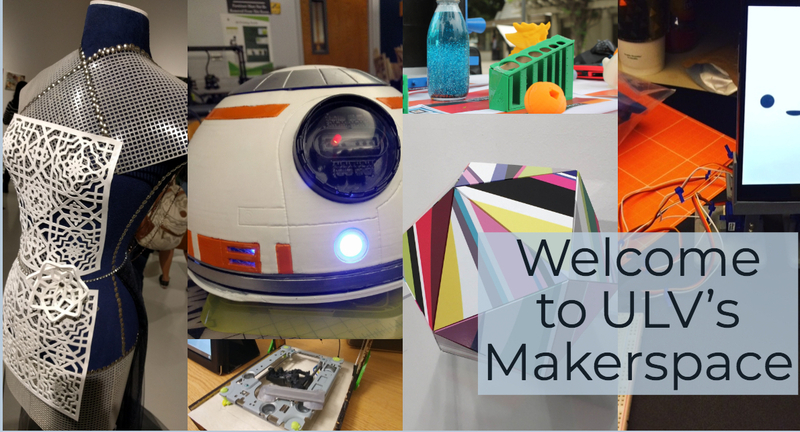 For information about the Makerspace's procedures and guidelines, click here. 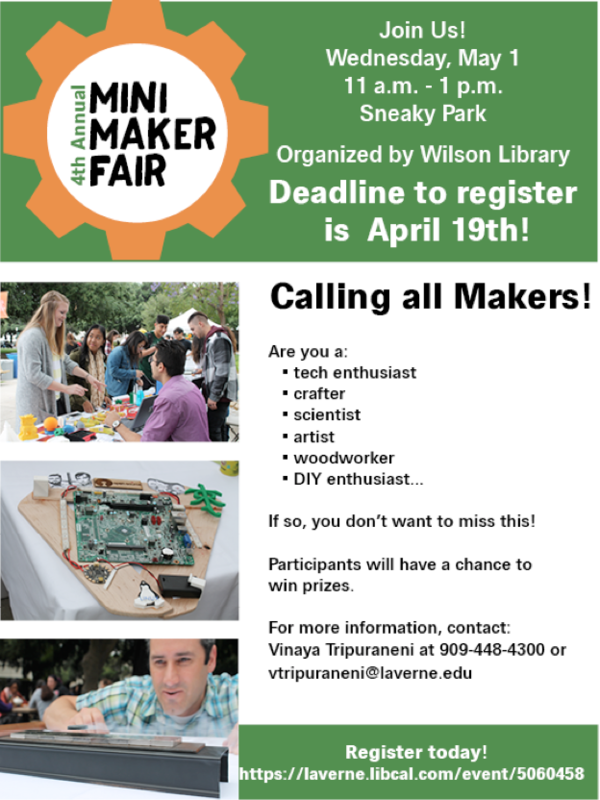 The Wilson Library's Makerspace is located in room 172 and is filled with equipment, tools, and resources for our community. We believe in bringing together a diverse group of students with interdisciplinary backgrounds and allowing them to create anything. Not only do we serve the University of La Verne student body, but we also deliver our services to the surrounding communities. Our Summer Robotics Camp gives kids from 7th to 12th grade the opportunity to learn about 3D printing and coding. These are the building blocks to learning and problem solving. Each camp is a week long experience and the students will create and code the robot and are able to keep it. For more information, visit our Robotics Camp Page. We help people's ideas come to life through the tech we have and the knowledge we love to share. We are here to help you with your projects and to give you a hand. From Laser Cutters to 3D Printers to adobe software, we have the tools you need to get you started.